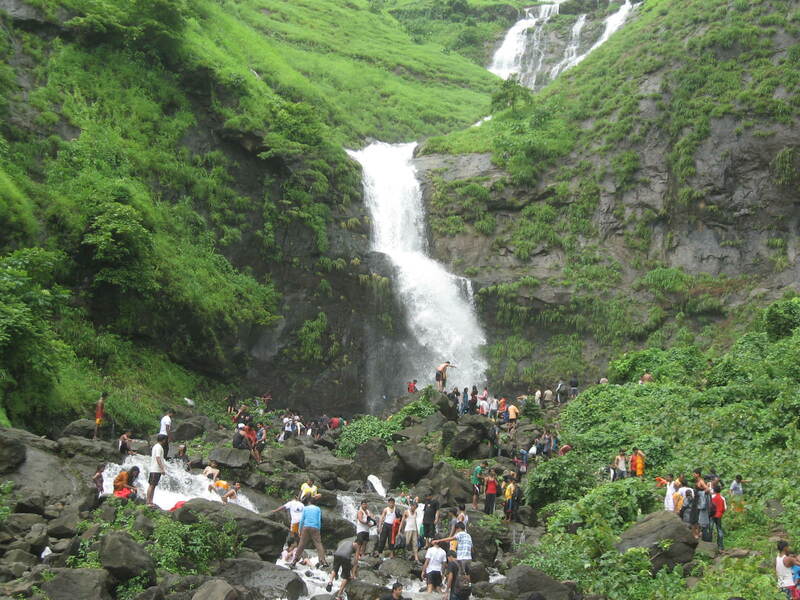 Water falls near Mumbai is always among top picks of tourist. People always dream to visit this city in Monsoon and experience heaven on earth. Lets take a look at some famoust waterfalls in and near Mumbai. Bhivpuri road one of the famous stations among mumbaikar’s as well as tourist. Famous because it has one the most famous as well as common waterfall. From Bhivpuri Road one can easily walk to the waterfall as opposed to getting off at Karjat from where travellers will have to trek around 2 km to reach the waterfall. By Train: Get into a Karjat bound local train on central line. 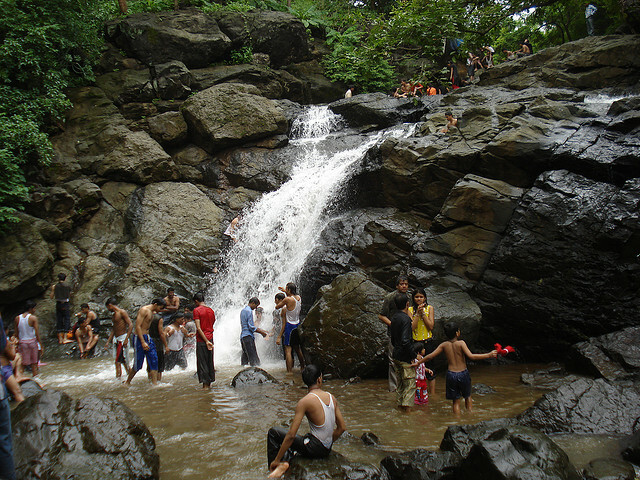 Pandavkada Falls is a waterfall located Kharghar, a suburb of Navi Mumbai. The waterfall, about 107 metres high is a type of ‘plunge’ waterfall in nature pouring in massive amounts of water on the rocky surface underneath. 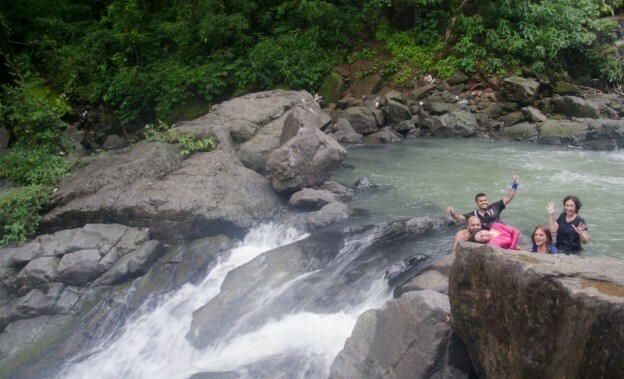 Pandavkada Waterfall is a popular spot for one day picnics. Kharghar is in Navi Mumbai and can be accessed to Harbour route. Catch up a train from Mumbai CST from the Harbour route and with one and half hour you are at Kharghar. As soon as you get down at Kharghar Station, take richshaws which will take you to the waterfalls. Kondeshwar is a small picnic spot near Badlapur town in Thane District. There is a lake named Kondeshwar Lake which is formed by Bhoj Dam. 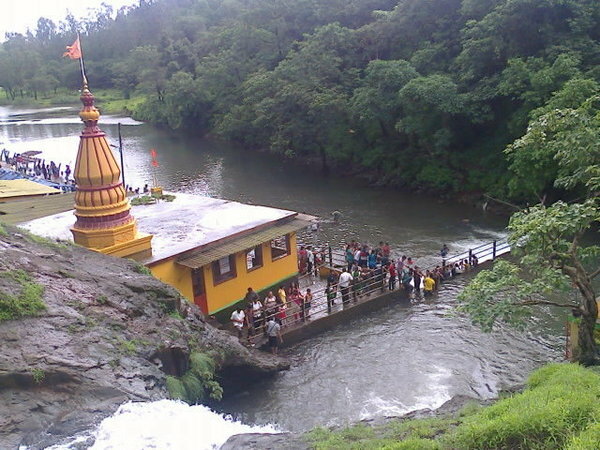 The Kondeshwar Temple is situated near the Kondeshwar Waterfalls.Kondeshwar is accessible via road. Nearest station is Badlapur East. One can hire a auto till Kondeshwar temple at a price of 50Rs per person. Go in groups as they take only when the vehicle is full i:e 5 people per vehicle. One can also take their private vehicle. 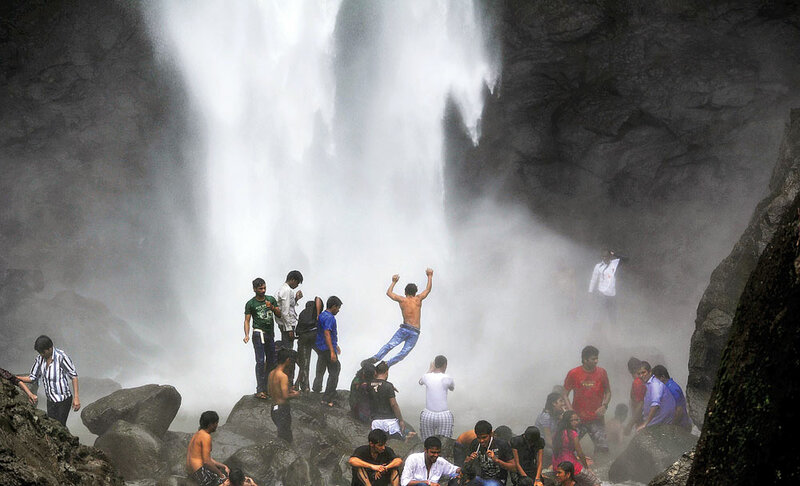 Tapalwadi, A small village situated near Neral, in Karjat Taluka, is famous for its waterfalls. The falls here are not so high but the volume of water flowing is immense. The area is surrounded by lush greenery which makes it an ideal destination away from the noise and hassles of daily life.The best time to visit Tapalwadi is of course during the monsoon months. If you don’t want to travel too far from the city you can catch a Western Railway local train and get down at Vasai or even at Naigaon and head towards Tungareshwar waterfalls that offer complete fun and thrill that you can get within the city limits. You can also take a rickshaw from Vasai station or you can make use of the local state transport bus to reach the destination. Malshej Ghat is a “Must Visit” place during the Monsoon season. On the road to Malshej Ghat one leaves the plains in the west and climbs onto the hilly elevated Deccan Plateau. The scenic beauty of Malshej Ghat and the Sahyadri Hills (Western Ghats) is stunning; more so during the rainy season when there is greenery and waterfalls all around. In the monsoon, there are numerous waterfalls for visitors to get wet under. 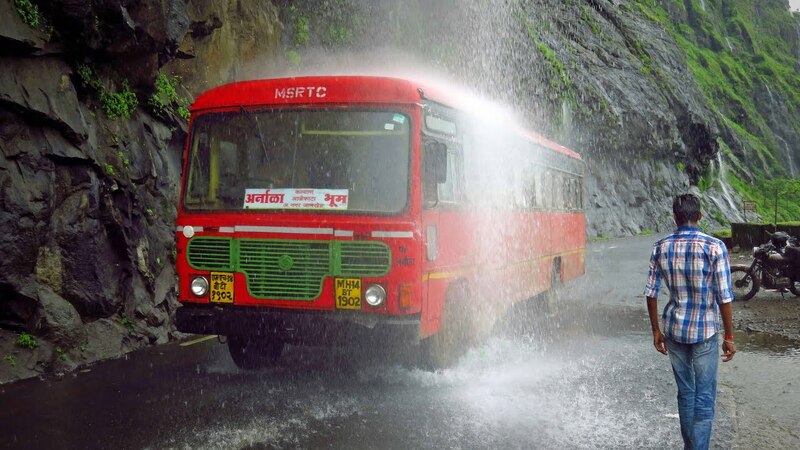 All vehicles get wet under waterfalls near the famous Malshej Ghat Tunnel.